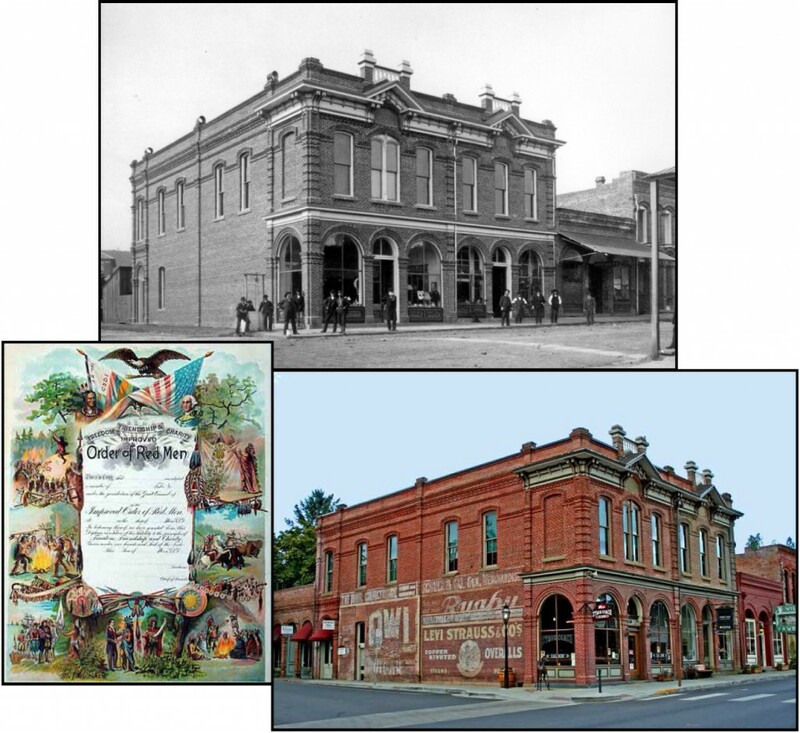 Red Men’s Hall | Historic Jacksonville, Inc. The Improved Order of Red Men was a popular fraternal society claiming descent from the instigators of the Boston Tea Party. Jacksonville boasted three tribes—the English-speaking Pocahontas Tribe No. 1, the German-speaking Stamm No. 148, and the Haymakers Association. In 1884, the societies jointly contracted with brick mason George Holt for the construction of Red Men’s Hall at the southwest corner of California and 3rd streets on the site of the former New State Billiard and Drinking Saloon. Sadly, the Red Men were unable to pay off their construction debt and relinquished title in 1891.